Studies have identified beneficial effects of statins, including a relationship between statins and inflammation. Inflammation is a part of the body's normal response to an injury or infection. When you get a minor injury (an abrasion or cut), the area around it generally reddens and swells slightly. These are outward signs of inflammation, signs of the body mobilizing in the face of damage. It's a natural part of the healing process. But it isn't always helpful. Inflammation occurs when the immune system sends in specialized white blood cells to a damaged area. These cells help combat any infection and clean up the dead cells left behind. The same process that takes place with a cut, bruise or sprain also happens with injuries to the heart muscle or arteries. In much the same way, the body sends immune-system shock troops to circulatory hot spots—that is, the plaques formed by bad cholesterol (LDL) in artery walls. Unfortunately, when macrophages take on these plaques, they can become engorged with cholesterol and end up adding to the general mass (and mess) of the plaque. Although meant to combat the plaque, the inflammatory response actually renders plaque less stable and more prone to rupture, and that can result in a heart attack or stroke. In addition, inflammation in the heart and blood vessels causes blood vessel walls to become "sticky" and prone to attract additional blood cells and cholesterol, which forms plaque, or piles onto the plaque deposits that already exist. Ultimately, this process can block the flow of blood and oxygen. If the affected artery supplies the heart or brain, again, the result could be a heart attack or stroke. When inflammation is present anywhere in the body, specific proteins are released into the bloodstream that can be measured through blood tests. Some tests, such as erythrocyte sedimentation rate (ESR, or "sed rate") are general measurements of inflammation. C-reactive protein (CRP) is another measurement of inflammation or infection in the body. CRP levels above 10 mg/L are a sign that inflammation is present somewhere in the body. However, when CRP is mildly elevated, between 1 mg/L to 3 mg/L, it has been tied to problems with the cardiovascular system, that is, the heart and blood vessels. While high CRP levels are part of the body's natural response to trouble, they're also bad news. They can predict a heart attack in people who've never had one before. In the case of patients who undergo certain heart procedures—including angioplasty, stent placement, and coronary artery bypass—and those who have heart-related chest pain—stable angina or unstable angina—these high CRP levels have been linked to an increased risk for heart attack or stroke and a greater likelihood of death. On the other hand, preventing inflammation helps people at risk for heart disease. Important heart disease risk factors include high blood pressure, diabetes, high cholesterol, smoking or a family history of heart disease. Statins are an important class of medications that lower bad cholesterol levels. Statins help prevent coronary heart disease, stroke and other harm associated with too much bad cholesterol (LDL) in the blood. They also modestly raise blood levels of good cholesterol (HDL). Statins work by blocking an enzyme called HMG-CoA reductase that is essential for making bad cholesterol from the saturated fats in food. In addition to lowering bad cholesterol levels, statins also help bring down blood levels of CRP. Although the cholesterol-blocking effect is quite well understood, the mechanisms for reducing CRP and inflammation aren't fully known. Scientists believe that statins block the proteins and immune cells that are released as part of the body's normal inflammation process. Lowering these protein levels effectively prevents inflammation from occurring. It also appears that long-term use of statins results in less inflammation in the heart and fewer complications. Studies of patients undergoing angioplasty with stenting show that those who were taking statins prior to the procedure had lower levels of CRP afterward and were less likely to have a heart attack or die in the year after the procedure. Studies of patients who had ischemic strokes have found that in the short-term and up to 1 year after the stroke, patients taking statins had lower CRP levels and improved outcomes. These benefits included fewer neurologic impairments, such as speech and movement problems. There was also a lower incidence of death in the year after the stroke. In addition, statins reduce stroke risk in people who've had an acute coronary event, such as a heart attack. Just as the presence of CRP in the blood can predict heart problems, lowering CRP levels reduces cardiovascular risks of heart attacks or other cardiovascular events, including stroke. 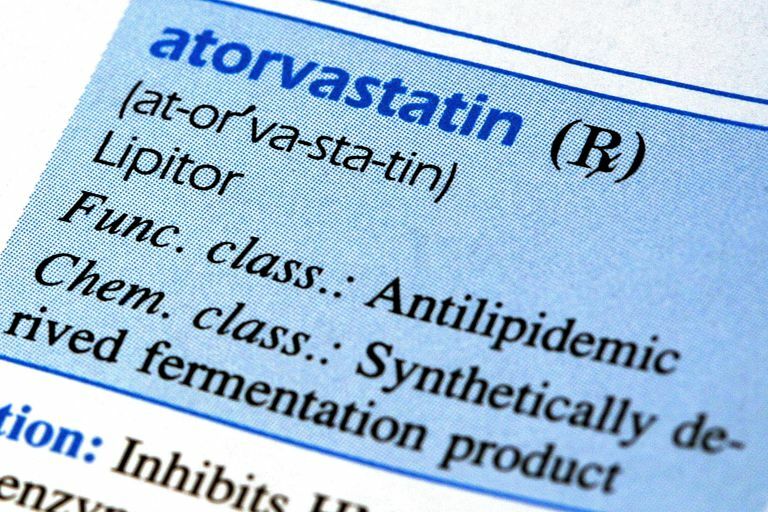 Although the exact mechanism is still unclear, scientists have established a clear link between statins and lowering CRP levels. Moreover, studies show that the greatest benefit from taking statins are to those individuals who start out with high levels of CRP; these benefits are more than can be accounted for by the impact on cholesterol levels alone. It's important to remember that lowering CRP levels with statins is not enough by itself to prevent cardiovascular disease. Although lower CRP levels are beneficial, every cardiovascular risk factor—such as diabetes, high blood pressure, smoking, obesity, and/or high cholesterol—contributes to heart disease and raises the risk of having a heart attack or stroke. The best way to avoid these events is to exercise, follow a healthy, low-fat diet and take prescribed medications as recommended by your healthcare provider to help lower as many of your risks as possible. Chan, Albert W., et al. "Relation of Inflammation and Benefit of Statins After Percutaneous Coronary Interventions." Circulation 107(2003):1750-6. Di Napoli, Mario, and Francesca Papa. "Inflammation, Statins, and Outcome After Ischemic Stroke." Stroke 32(2001):2446-a. Hennekens, Charles H. "Primary Prevention of Coronary Heart Disease and Stroke." UpToDate.com. Dec. 8, 2015. Jonsson N, and K Asplund. "Does Pretreatment With Statins Improve Clinical Outcome After Stroke? A Pilot Case-Referent Study." Stroke 32(2001):1112-5. S., et al. for the Myocardial Ischemia Reduction with Aggressive Cholesterol Lowering (MIRACL) Study Investigators. "Inflammation, Statin Therapy, and Risk of Stroke After an Acute Coronary Syndrome in the MIRACL Study." Arteriosclerosis, Thrombosis, and Vascular Biology 28(2008):142-7. Rosenson, Robert S. "Mechanisms of Benefit of Lipid Lowering in Patients With Coronary Heart Disease." UpToDate.com. Dec. 16, 2015. Walter, Dirk H. et al. "Statin Therapy, Inflammation and Recurrent Coronary Events in Patients Following Coronary Stent Implantation." Journal of the American College of Cardiology. 38(2001):2006-12. Yeh, Edward T.H., H. Vernon Anderson, Vincenzo Pasceri, and James T. Willerson. "C-Reactive Protein: Linking Inflammation to Cardiovascular Complications." Circulation 104(2001):974-5.